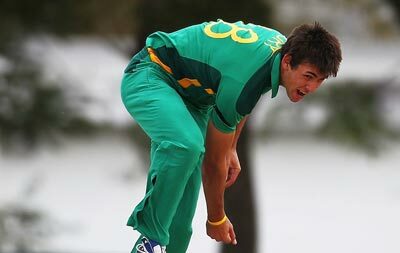 The 25 year-old is a former Under 19 international, playing for South Africa in the 2012 World Cup in Australia. He is a right-arm pace bowler and hard-hitting middle order batsman, who plays for Free State and Knights in his native country. He has taken 174 wickets in 70 first-class matches, with a best bowling display of 8 for 90. No mug with the bat, he has a highest score of 142 and averages over 20 in all three formats of the game. His arrival was welcomed by the club on Twitter, but is subject to the usual clearance and visa process. Given his undoubted calibre this should be a mere formality.